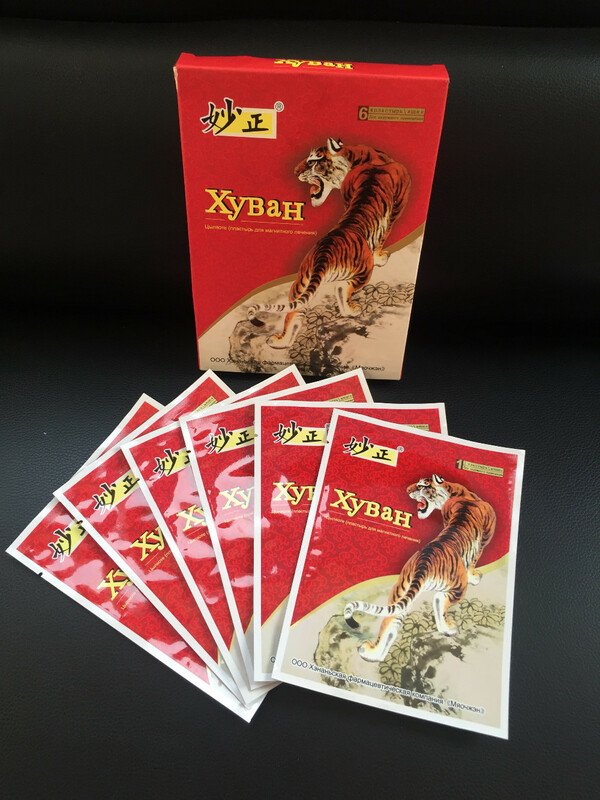 Tiger King Magnetic Chinese plaster - secrets of the ancient recipes of Chinese traditional medicine. 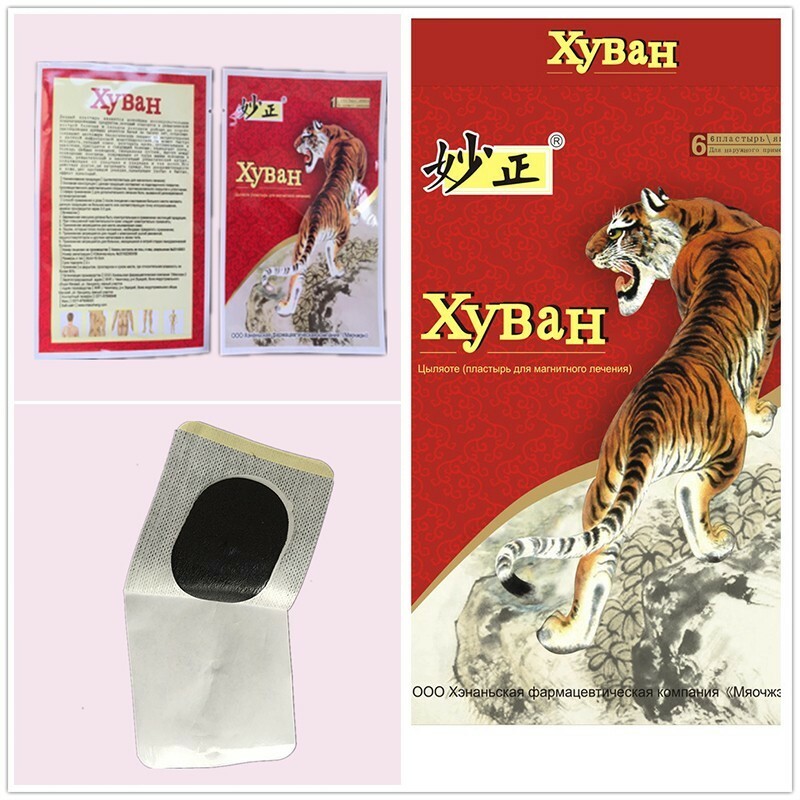 Physiotherapy, magnetic patch "tiger king" - is the newest means of naturopathy. 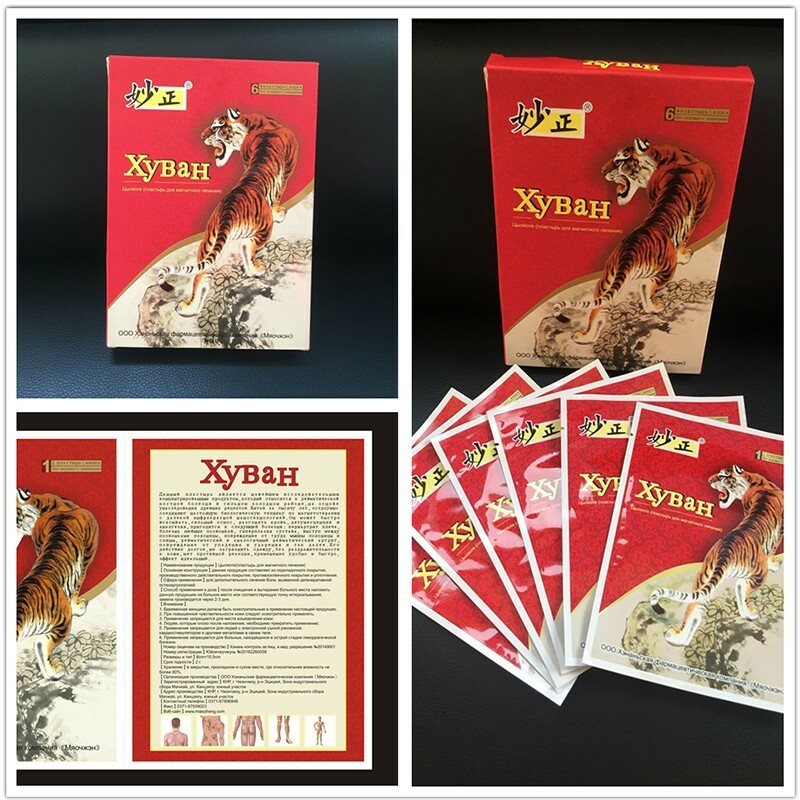 Modern plaster “tiger king” concentrated in a part of the ancient mystery of the Chinese traditional medicine and the latest achievements of scientific research and technology. Due to the unique production of plaster "Miaozheng" technologies, therapeutic nanoparticle composition effectively relieve pain and inflammation, directly penetrate through cell membranes in the skin myshechnyyu tissue and joints. Under the influence of the magnetic field of the electrostatic effect of the natural composition of the amplified and accelerated. Increased microcirculation blood flow and activity of the cells in the affected area. 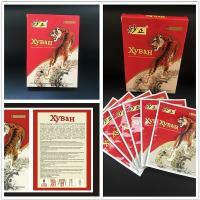 Physiotherapy Chinese patch actively used to treat muscle, joint and bone pain of any origin. Applying the patch and improves the mobility and sensitivity vosstanavlievet joints. spi rits, Sichuan color knotweed, buffalo horn, tszyanhuan, neodimivy magnet (NdFeB - neodymium) tuyuan, zhusyan, etc. Usage : after cleansing and wiping the patient's skin, apply plaster to the affected area or the appropriate acupuncture points, keep it on the skin about 2-3 days ,then thraw away, stop 1 day, continue to use another one .